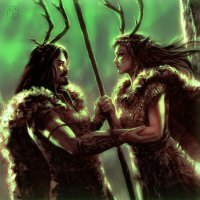 Dreams of Ýdalir | Norse Mythology meets Mists of Avalon - the untold love story of the Gods, Ullr and Elen as told by the fey-touched human Fawn. 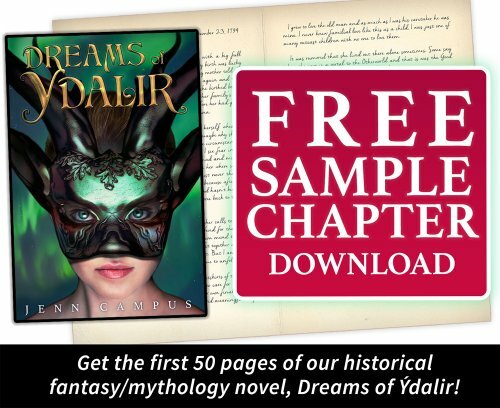 Dreams of Ýdalir is an illustrated novel, released as a literary serial fiction (in installments, like a TV show) that includes new myths about the Gods of Old Europe. It is heavily based on European mythology and with a deep respect for the classic lore it reveals the legends of lesser known Gods, like Wuldor/Ullr, Sif and Elen of the Ways, and new or as we like to say “forgotten” tales and origin stories of some more well known mythological characters, like Thor, Freyja and Odin. The tale centers around the Gods Wuldor, also known as Ullr, and Elen of the Ways and aims to tell their untold myths. Very little is known about either of these enigmatic figures, but through over a decade of personal research we patch together what is known about them in classic lore and what we have learned from other sources, to create a rich tapestry, including fundamental truths spoken by the Gods themselves to help us humans understand our own place in the cosmos. We make the stories more relatable by rooting them in the experiences of our human heroine, 17-year-old Fawn, who discovers her legacy is mixed up in myth and magic and writes her observations down in her journal as the tale unfolds. Other parts of the tale are from the perspective of the Gods themselves, which allows the reader to see inside their hearts and minds. Then we package it all in a beautiful format with amazing sketches and illustrations to bring the words to life. Our story is based in a rich world where mythology and fantasy meet. The year is 1794, Fawn is a seventeen-year-old orphaned girl, living in the Scottish lowlands. 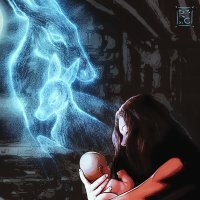 When she begins having strange dreams of a flame-haired woman named Elen who appears to be part human, part deer and Wuldor, a mysterious dark-haired woodsman who gifts her with a magical deer mask that allows her to travel to other worlds, she believes she has the resources to finally find her own fey-touched mother. As her relationship with these mythical beings deepens, she writes it all down in her journal and sketches some of the pivotal moments in her life and of the story as it unfolds. Through this coming of age tale, she is gifted with the divine stories of the Gods, and learns her true origins. Dreams of Ýdalir tells about a world that exists beneath the veil of our own familiar world. It is a world you will love getting lost in. The story is released in episodes. It harkens back to the days of yore when serial fictions were all the rage. It is how Charles Dickens and many other classic writers got their start. Many of the long novels of the past that we think of as a singular works were originally published in serial format. Back then it was because consumers often could not afford an entire book, but could pay smaller amounts over time. These days people don’t have a lot of time, a serial allows you to fit reading into your life because you can read each installment in one sitting. It also means we have to tell a riveting story, and produce amazing artwork that creates anticipation for the next one, every time. Download a FREE sample of the novel here. It includes 50 pages of the story + a dozen amazing illustrations! We promise, you will be hooked!